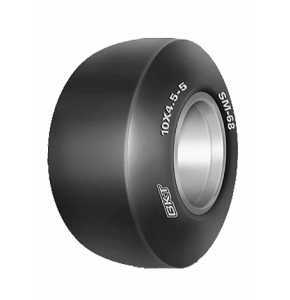 The SM-68 is a go-cart tyre from BKT. The SM-68 tyre is available in a few select sizes including 10/4.5X5. The load/speed index for this SM-68 10/4.5X5 tyre is 9A3 which means it can carry a maximum load of 130kg while travelling at a speed of 15km/h. 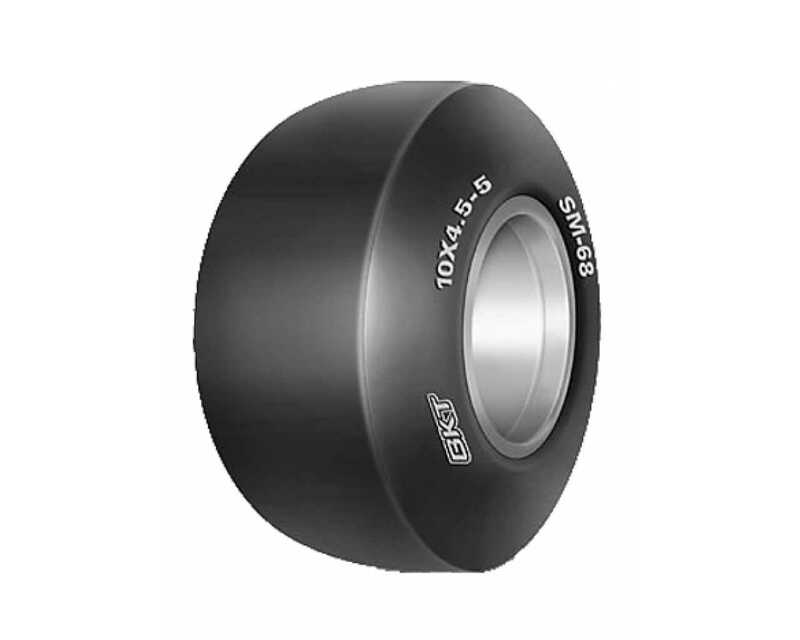 The SM-68 tyre from BKT is a specially designed go-cart tyre for optimum contact with different surfaces for smooth roll. It is available is two different tyre hardness, suitable for racing and general purpose applications. The special tread compounds of the SM-68 tyre provide excellent wear and tear resistance which enhances tyre life.